Since strongman Khalifa Haftar launched an offensive to seize the capital Tripoli, most Libyans have watched the fighting on social media. "It is true that we have a huge wave of misinformation spread through social networks," said Libyan analyst Emad Badi. "Anonymity on social networks encourages some people to engage in aggressive and hateful speech and even incitement to crime," said Mayss Abdel-Fattah, 26, a sociology student at the University of Zawiya. "These 'bad' users of social networks feel that no-one will come to hold them accountable, which is very often the case in Libya." Despite the toxic posts that flood social networks, there are also rays of light that cut through the online fog of war. WHO said At least 205 people have been killed and more than 900 wounded in the battle for control of the Libyan capital Tripoli. — Reuters picTRIPOLI, April 18 — At least 205 people have been killed and more than 900 wounded in the battle for control of the Libyan capital Tripoli, the World Health Organisation said today. 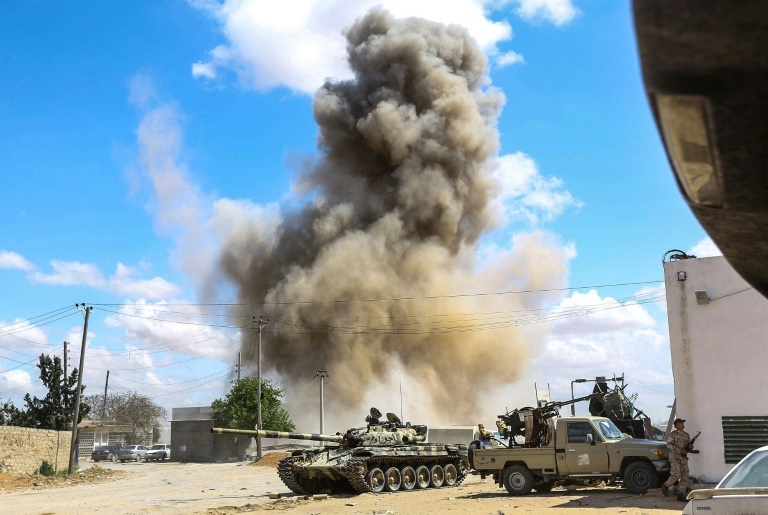 Fighting broke out on April 4 when military strongman Khalifa Haftar launched an offensive to take Tripoli, seat of the UN-recognised Government of National Accord (GNA). Reporting at least 205 people dead and 913 wounded, WHO said it was keeping medical and surgical teams deployed at field hospitals near the front lines. UN spokesman Stephane Dujarric said it was the highest single-day increase in displacement. At least 205 people have been killed and more than 900 wounded in the battle for control of the Libyan capital Tripoli, the World Health Organization said Thursday. 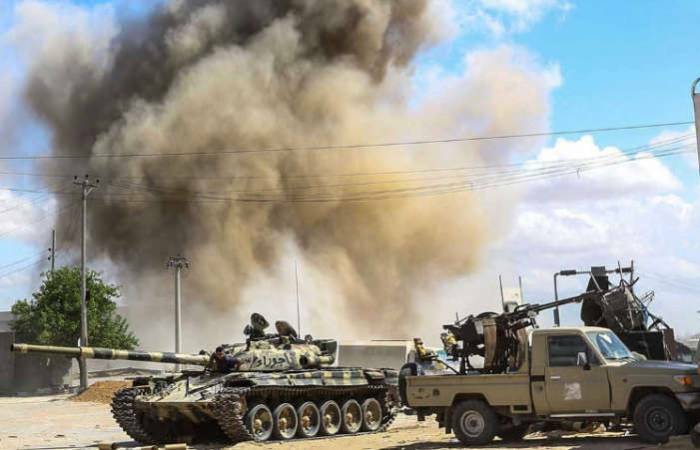 Fighting broke out on April 4 when military strongman Khalifa Haftar launched an offensive to take Tripoli, seat of the UN-recognised Government of National Accord (GNA). Reporting at least 205 people dead and 913 wounded, WHO said it was keeping medical and surgical teams deployed at field hospitals near the front lines. 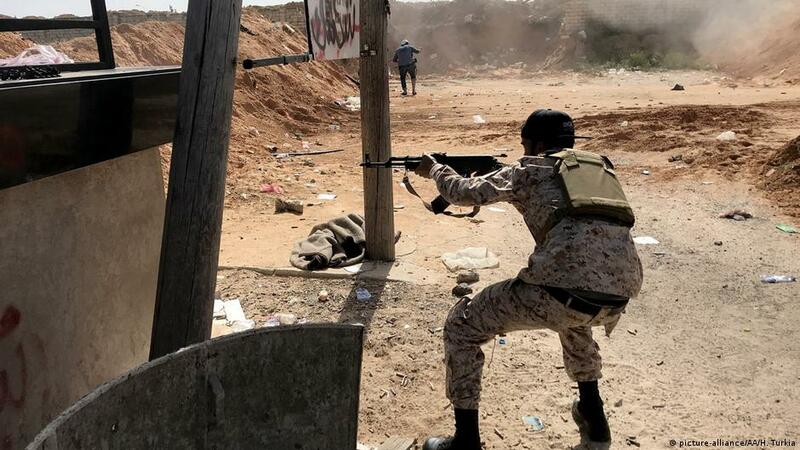 More than 25,000 people have been displaced by the clashes between GNA forces and Haftar's fighters south of Tripoli, including 4,500 over the previous 24 hours, the International Organization for Migration said Wednesday. UN spokesman Stephane Dujarric said it was the highest single-day increase in displacement. The Presidential Council (PC) head, Fayez Al-Sarraj, called on the International Criminal Court (ICC) to investigate the crimes and violations committed by the forces of warlord Khalifa Haftar and bring them to justice. "Haftar's forces are committing crimes against civilians and against humanity and are destroying the infrastructure with heavy weapons prohibited to be used within the cities," Al-Sarraj said. He further explained that Haftar's forces had targeted the homes of citizens, schools and field hospitals, in addition to the recruitment of children among the ranks of his forces, abusing prisoners, and mutilation; which all fall under war crimes. The PC head demanded the prosecution of those involved in such crimes, headed by Khalifa Haftar, who gave explicit orders to attack the capital Tripoli. Earlier on Wednesday, Al-Sarraj vowed to sue Khalifa Haftar after targeting neighbourhoods in Tripoli with indiscriminate shelling resulting in the death and injury of civilians. 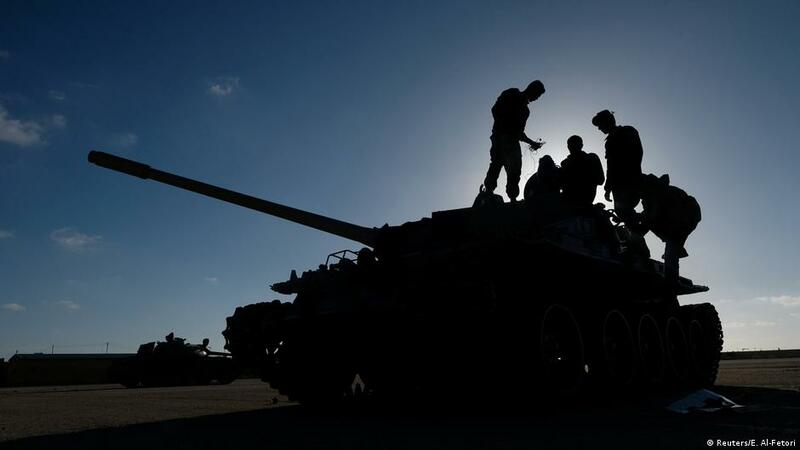 Members of the House of Representatives (HoR) of Tripoli, demanded the immediate withdrawal of the aggressive forces to their bases, stressing the importance of condemning and criminalizing the attack on the capital. The members denounced in a press conference in Tripoli, the statements made by the President and members of the HoR inciting the war. "The civil state, the territorial integrity, and the sanctity of blood are constants that can not be waived," the HoR members emphasized. 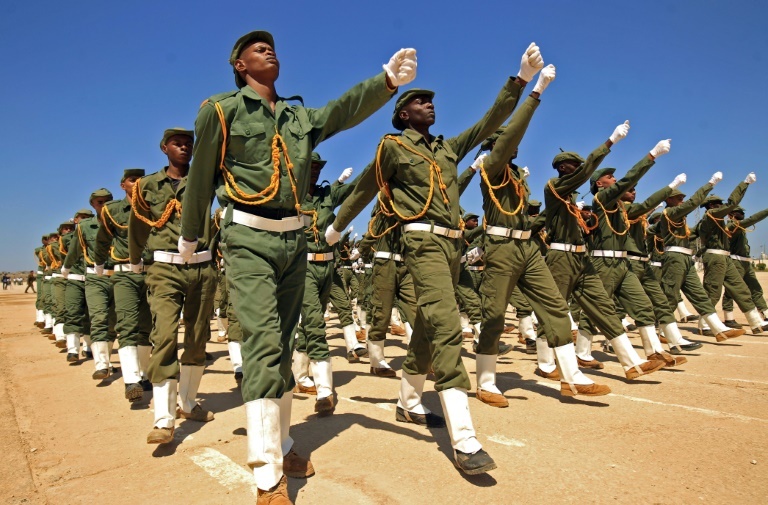 They also renewed their support for the resumption of the peaceful political process, consolidation of institutions, and the right of the people to vote, expressing rejection of having Libya a battleground for external powers, and calling the international community to assume their responsibilities in protecting civilians. The International Rescue Committee (IRC) is concerned about increasing fighting around Tripoli, Libya, which last night claimed the lives of 11 civilians and injured 22, including an IRC staff member. Daily clashes continue to claim the lives of civilians, while more than 20,000 people have been displaced so far. Last night's attack demonstrates that the fighting shows no signs of stopping, which could define Libya's future for years to come. Thomas Garofalo, International Rescue Committee's Libya Director, said:"This offensive could set Libya back years. The International Rescue Committee is working tirelessly in affected areas to provide urgent medical care to Libyans and non-Libyans who have been caught in the midst of the violence. Germany on Wednesday called for a meeting of the United Nations Security Council to discuss the escalating conflict in Libya after the 15-member body failed to agree on a draft resolution calling for a ceasefire. Earlier this month, the self-styled Libyan National Army (LNA), under the leadership of General Khalifa Haftar, made a push to take Triopli. It also urges all council member states "to use their influence over the parties" to ensure the that the resolution is implemented. Equatorial Guinea objected to the draft resolution on behalf of the three African nations on the council, according to German news agency DPA. Ghassan Salame, the UN ambassador for Libya, on Wednesday called for an immediate halt to attacks on Tripoli. In the past 24 hours, Tripoli witnessed the worst violence against civilians since 2014, with several densely populated neighbourhoods hit by indiscriminate shelling," said Lowcock. I urge all parties to refrain from the use of weapons that put more civilian lives and infrastructure at risk." Low funding also continues to hamper the humanitarian response with just six per cent of the US$202 million required in the 2019 Libya Humanitarian Response Plan received. 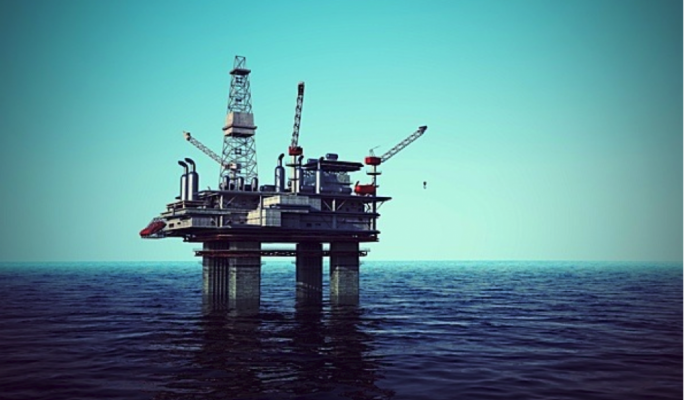 "This CERF allocation can only support the immediate response to the most pressing needs. "If fighting moves to central Tripoli, an even greater surge in humanitarian needs is expected and humanitarian organizations will need to scale up considerably."